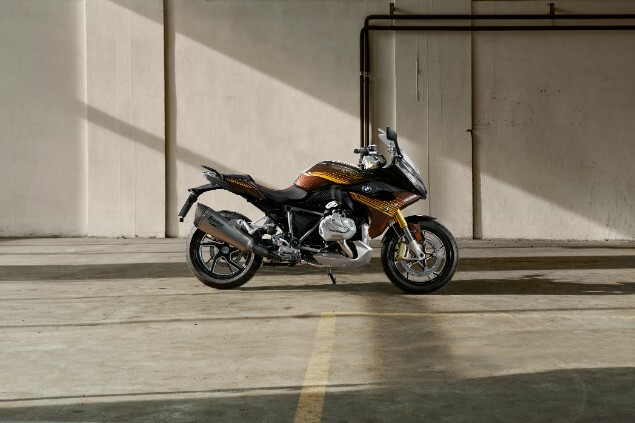 BMW has revealed an updated R1250GS Adventure which has the new larger capacity, ShiftCam-equipped engine first seen in the standard R1250GS model earlier this year. Unlike previous years, the year gap between model upgrades of the R1250GS and R1250GS Adventure models has been shortened to get the new engine introduced across the entire water-cooled boxer range from GS to RT, R and RS models. 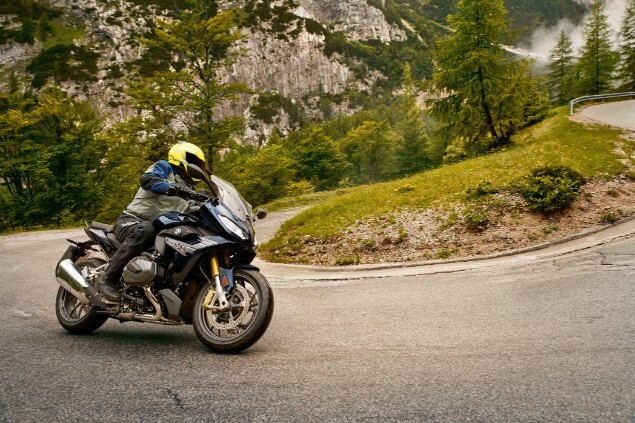 The BMW R1250GS Adventure has become and increasingly important bike for the German firm as buyers have been buying them in ever-greater numbers alongside the standard R1250GS model. The GS Adventure model was introduced in 1999 and at that time the vast majority of UK buyers opted for the standard bike rather than the Adventure model which has a larger fuel tank, some suspension and luggage changes in order to offer more long-range capability. In recent years the Adventure model has been catching up in terms of numbers and there have even been years when they have outsold the standard bike. More power, more torque, improved fuel economy, reduced noise and emissions along with better throttle response are all claims being made about the new 1254cc engine in the R1250GS Adventure which replaces the outgoing 1170cc version. BMW’s SHiftCam technology is the name given to variable valve timing which has been introduced for the first time in the BMW motorcycle range to the two-cylinder boxer engine layout which has also been developed with extra cubic capacity. Shiftcam works to adjust valve timing and valve stroke on the intake side and intake camshafts operate two intake valves for cleaner and more controlled combustion. It does this with a single-unit camshaft with two cams per valve to be activated; one for partial load and one full-load cam so each is optimised for each part of the rev range. At XXXXrpm an electronic actuator moves a shifting gate on the camshaft to vary the valve timing to the alternative cam lobe. In order for the new engine to work to its best a new exhaust system has been developed with newly-shaped manifold tubes with a new design of shape, length and diameter. 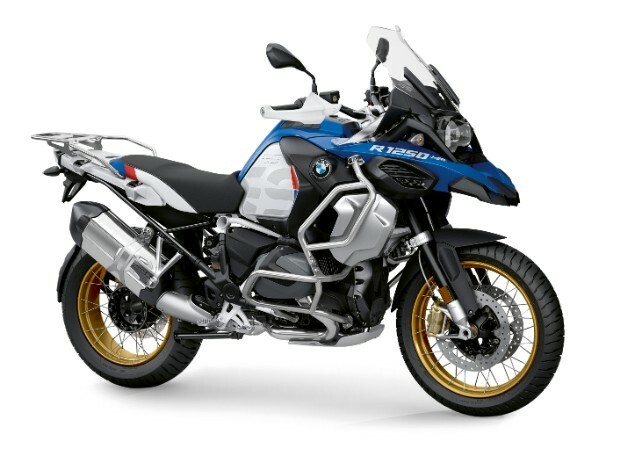 How is the Adventure model different to the standard BMW R1250GS? The vast majority of the R1250GS Adventure is the same as the standard R1250GS but there are some important changes to set them apart. The biggest change over the standard GS is the fitment of a 30 litre fuel tank which gives the biggest GS a range of easily more than 300 miles. The Adventure model gets as standard the stronger spoked wheels, a taller windscreen, wider front fairing and the ride height is 20mm higher to offer more ground clearance. Seat height on all GS models is adjustable through a 20mm range and the GS Adventure can be moved from 890 to 910 with the standard seat but can be lowered to 820 with the optional low chassis. 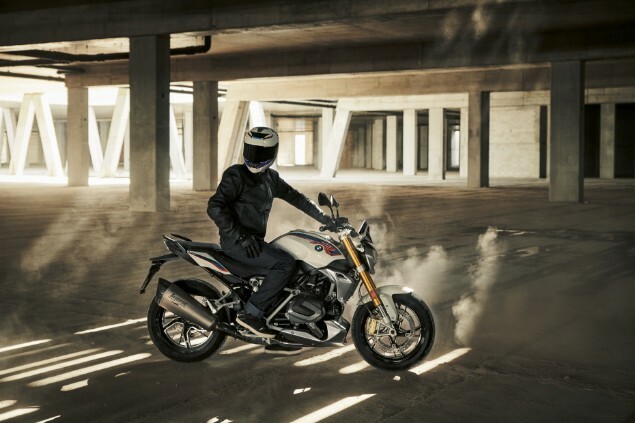 As with many other BMWs in the modern range there are a huge array of different technology available for the R1250GS Adventure with many of them coming as standard. The new Thin Film Transistor (TFT) dash introduced last year for the first time as an optional extra is now standard across the range. 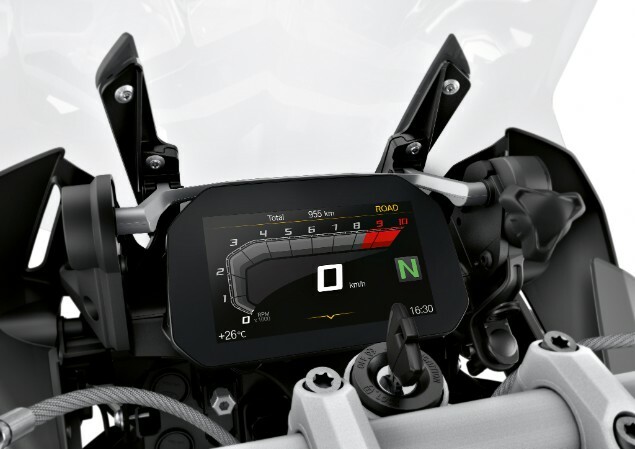 It offers a full-colour screen showing a large amount of different information about the bike and also acts as the hub of the connectivity between bike and rider with phonecalls, music and a basic road-map style of navigation available using a Bluetooth linked smartphone and a BMW Connected app. Two riding modes, traction control and Hill Start Control are all fitted as standard but they can be added to with the Riding Modes Pro option that adds Dynamic Traction Control, ABS Pro, Hill Start Control Pro and Dynamic Brake Assistant. The suspension is the latest specification of the Dynamic Electronic Suspension Adjustment (ESA) with automatic load levelling and compensation. Intelligent Emergency Call is an optional extra which either manually or automatically calls for assistance if the bike determines a significant accident has occurred. The boxer engine is used in a wide array of different bikes but there are now two types of that engine with the latest water-cooled R1250 engine and the older, air/oil cooled 1170cc engine used in the heritage range of bikes like the R nineT. This new 1254cc water-cooled engine will be used in all of the modern machines in exactly the same specification and state of tune. The bikes this engine will be fitted to are the R1200GS and R1200GS Adventure, R1200R, R1200RT and the R1200RS.